If you love modern architecture, beautiful marble and creative baths,and a high-tech kitchen, this is your home. This home has a large pool and spa, beautiful separate guest cabana, and 6 bedrooms and 8.5 baths. Read More about Palm Beach in our blog! Our tropical paradise remains a quiet, comfortable refuge where residents enjoy an exceptional degree of service, privacy and security. Delight in pristine beaches, cultural venues, galleries, museums, tennis, golf, fishing, yachting, shopping and dining... whether you stay for Season or make the island your year-round home. 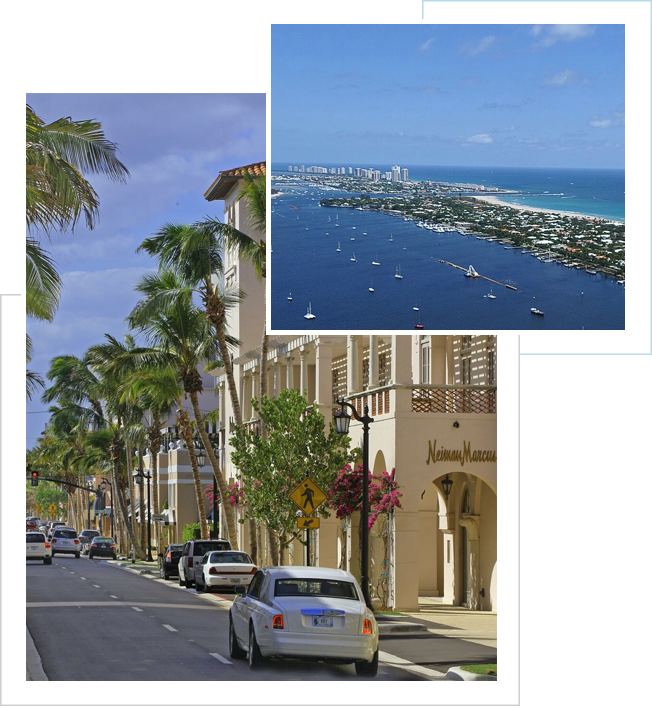 Palm Beach attracts the discriminating buyer who requires an exclusive address and understands real estate investment. The Palm Beach Real Estate Guide catalogs the most important properties listed for sale through the Palm Beach Board of Realtors® and its members – exclusive estates, single-family residences, in-town condominiums and waterfront high-rises.